Mitas TOURING FORCE is designed to perform well on different types of sports touring motorcycles and is a good choice for riders who travel on longer trips with passengers and luggage, as well as for those who prefer more sportier and dynamic rides alone. Tread design, which was developed with virtual 3D technology, ends before the tyre shoulder and ensures maximum contact patch at lean angles. The placement, direction and depth of grooves provide outstanding riding characteristics in different road and weather conditions. 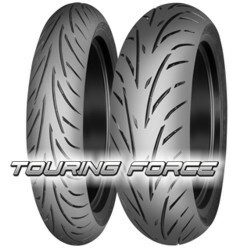 With new Multi Compound Tread Technology (MCTT), the central part of the TOURING FORCE tyre tread provides increased mileage, and the shoulder parts ensure excellent grip at extreme lean angles. Special compounds have been developed to guarantee the best riding performance and perfect wear balance. 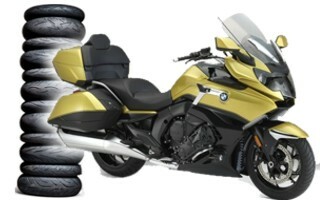 The combination of tread design and MCTT results in maximum wet and dry road grip. High silica content and special additives not only ensure optimum grip at low temperatures and on wet surfaces, but they also reduce the migration of components from rubber to the tyre’s surface during use, thereby assuring constant riding characteristics throughout the service life of a tyre. Mitas TOURING FORCE will be launched for sale in March 2019. Additional sizes will be progressively available throughout 2019.